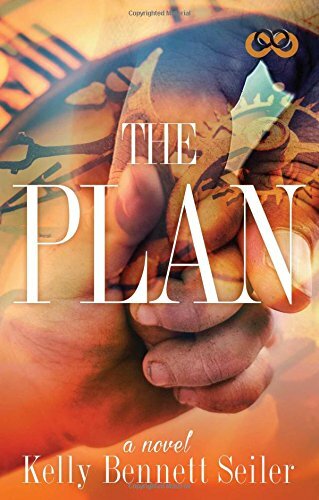 “The Plan” by Kelly Bennett Seiler is a heart wrenching novel of a woman named Claire and the devastating loss of her husband and three small children in a horrific car accident the day after Christmas. Claire struggles to find a reason to keep moving and breathing. The devastation of her loss becomes too overwhelming. She feels defeated and lost in this new world alone. She doesn't want to picture a life without her husband and children. Claire drowns deeply into her own sorrows and depression. She hides in the comfort of her own home and refuses to venture out even to the grocery store. After 18 months Claire’s best friend Gia forces her to get out and start living again. However, it wasn't Gia’s intention for Claire to travel across the globe with complete strangers. Irishman Callum Fitzgerald was born a trilateral amputee. When he was born his parents were both in disbelief of his condition. Life hasn't always been easy for him; however, he stays focused on his career of empowering others. He inspires listeners to find power in their own pain and use that power to become blessings for others. People travel from all over the world to hear him speak. When Callum hires Claire to be a vocalist on his seminar tour around the world she is surprised to notice she can’t stop thinking about her new “boss.” Claire starts to build lasting friendships with other members of the traveling team. However, as time goes on Callum and Claire start to explore their own new found friendship and it takes them on a remarkable emotional journey of love and acceptance. Kelly Bennett Seiler’s novel “The Plan” is fluid, captivating, and real. The emotions in this novel came to life and jumped right off each page. I could literally feel Claire’s pain and extreme heartache. The author knows how to reflect the power and importance of human strengths, weaknesses, and foibles. This beautifully crafted novel left me a better person than I was before reading it. I highly recommend this emotionally captivating novel to anyone that has lost a husband, child, or loved one.